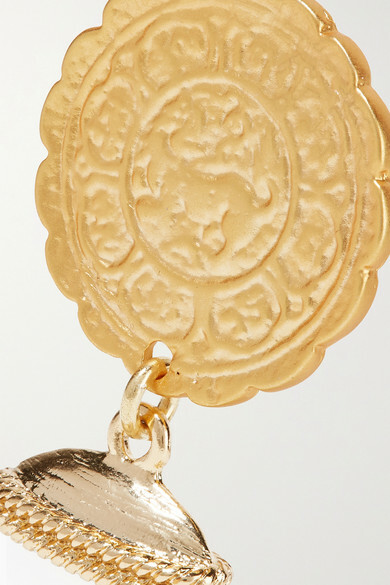 Kenneth Jay Lane's earrings are cast from polished gold-tone metal and have an oversized post embossed to look like a coin. 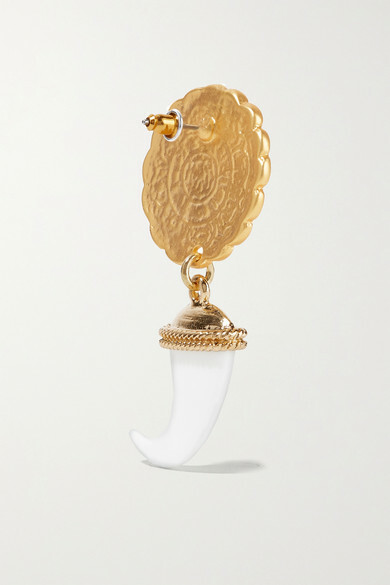 The faux horn pendant is hinged to move with every step and falls just below the jaw. 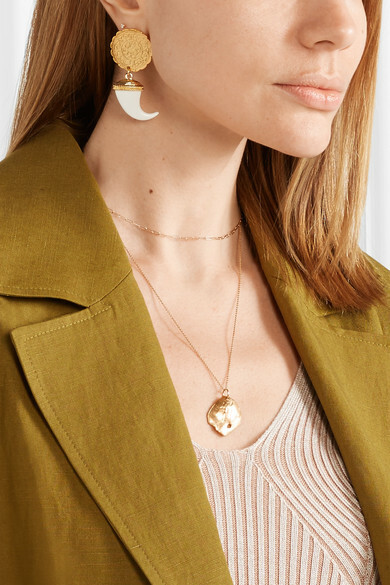 Wear them day or night. Shown here with: Mara Hoffman Jacket, Mara Hoffman Top, Alighieri Necklace, Chan Luu Cuff, Charlotte Chesnais Rings.